Cambria Bellingham is a real elegant British Lady. I think her other sister is Cambria Praa Sands engineered stone. The blue waves of Cambria Praa Sands is just converted into soft gray waves in Cambria Bellingham Countertop. Cambria Bellingham gives a gray looking at the first sight. The base color and gray, grayish brown and beige. But the unique soft gray flow around the waves, which is charming, is catching your eyes. The surface seems very busy but ascendant in your kitchen remodeling. In a kitchen remodeling gray-based stones are very popular these days. You will have a hard time visualizing them by matching your cabinet colors. Cambria Bellingham Countertop is a sweet candidate to make a soft match with the white, cherry, and even dark espresso kitchen cabinets. Usually backsplash selection is easy as following the pale cream and gray tones. Sometimes the blue tone wall colors completes the kitchen very well. 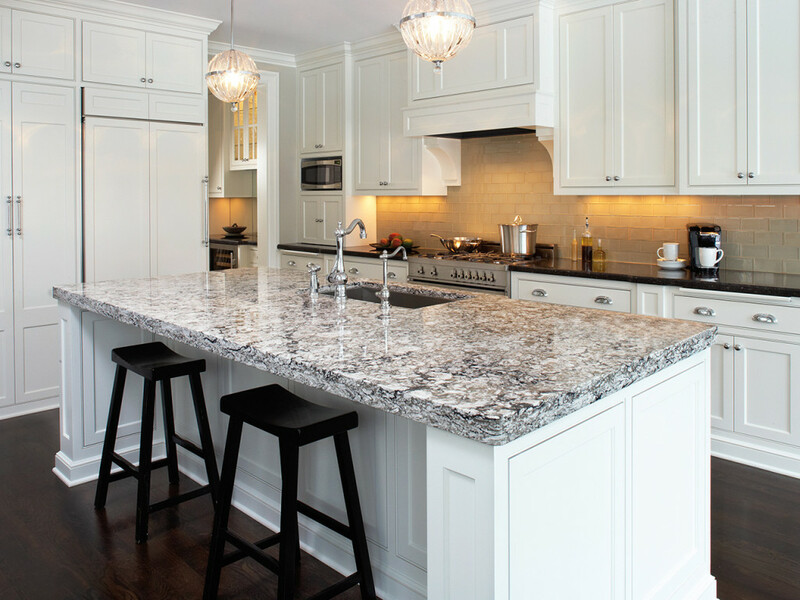 Two tone countertops and two tone cabinets are also go very well with Cambria Bellingham Quartz Countertop. Picking with love. I am hoping you are in love when you are staring the Cambria Bellingham Countertop Ideas Pictures. Picture Credit: Blue River Cabinetry via Houzz. Please do not hesitate to add your pictures and your comments to a make more educative article about Cambria Bellingham Countertop since she is authentic and recently take place in the stage of kitchen remodeling ideas.